Most retailers don’t let you have any choice with your dining – you buy what you see and you can spend hours searching for the right style, colour and fabric type. 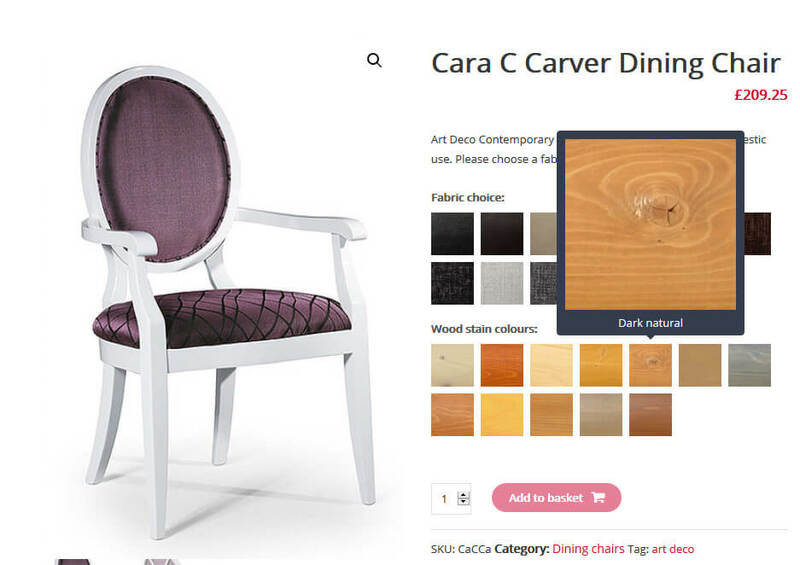 Here at Just Dining Chairs we like to give our customers a bit more choice, so you can customise your dining chairs to match your home décor or your interior design for commercial projects such as hotels, restaurants and bars. We think home owners, interior designers, architects and anyone owning and running commercial public property will love the flexibility and choice. All our chairs are made from sustainable wood at a factory in Italy and assembled, stained and lacquered at our factory in the Midlands. Choose your fabric – there are (at the time of writing), 13 fabric types to choose from including chenille, marble (velvet type) and faux leather. Choose your wood stain colour – we have 12 options available. 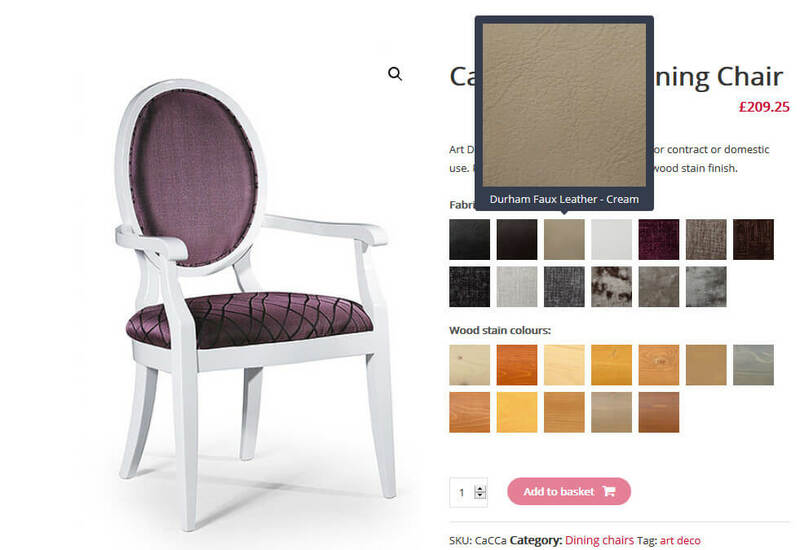 Once you have chosen both fabric and wood stain you can choose the number of chairs in your order – Add to basket and Quantity. Complete your order securely online and we will deliver to you within 4 weeks of placing your order. If you want a free sample, please order here: Order a free fabric sample. Please get in touch if you have any questions about our chairs and our custom dining chairs service. 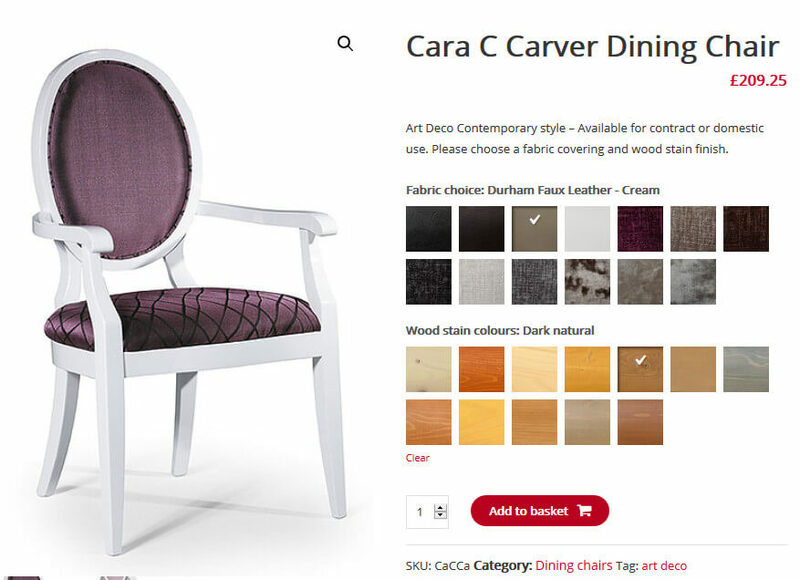 After you select the dining chair style, fabric and frame colour what can be changed?